Palak chicken is B’s one of the signature dish.He used all the fresh paste and spices to prepare the curry.Palak means spinach.I have already posted Dahi kadi with palak bhajias few days back and mentioned about its benefits…Coming back to the dish B kept the gravy little thin,but I suggested it to be kept as medium thick.Only help I did while preparing this dish was cleaning the chicken ,shooting pics ,lol and last but not the least eating.Well I ate only the gravy since I’m not a chicken lover,but did batting with phulkas. And B was so happy that all enjoyed the dish in his presence and could make out in his eyes the reward what he got…..Should not forget to mention I missed my sister very much today,who lives in the Middle East,who enjoys all this The making and eating. 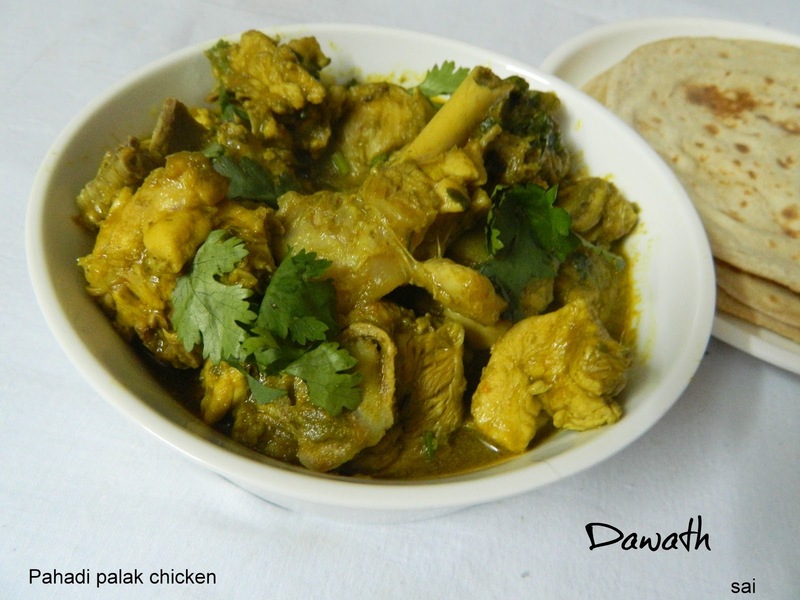 Hehe …This dish goes well with Roti,rice or chapathi.Please refer my post on The making of Pahadi palak chicken and phulka. 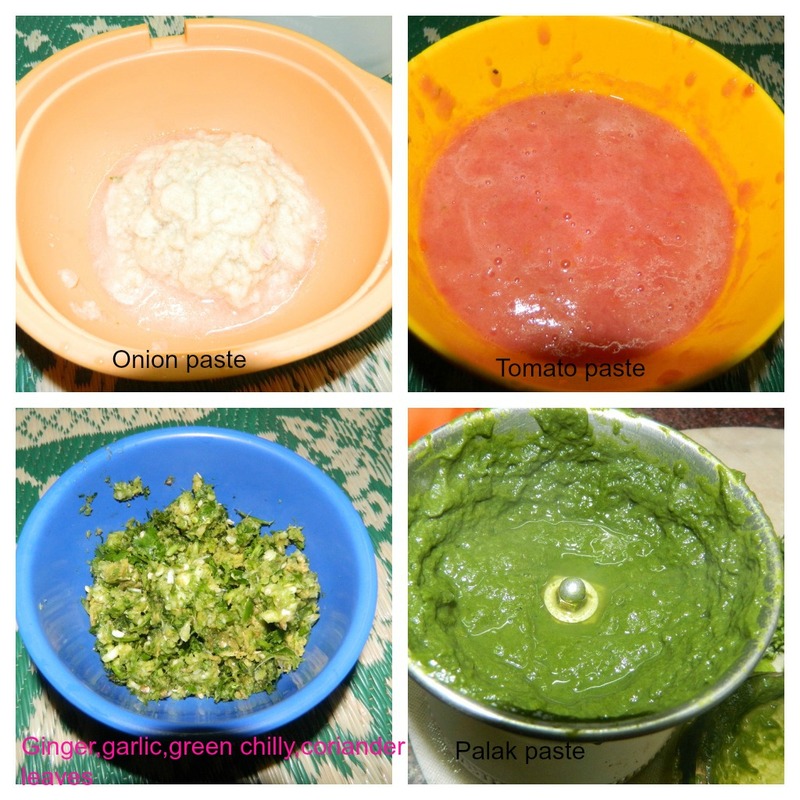 Make a coarse paste with ginger,garlic.green chilly and coriander leaves and keep it aside. Boil palak,adding very little water for 10 minutes until it gets cooked,cool and puree it,reserve the boiled palak water for the gravy. Take some oil in a thick kadai ,splutter cumin seeds,fry cardamom,cloves,cinnamon,star anise for a minute. Add onion paste and fry until the raw smell disappears. Then add the coarse paste and fry for more 5 minutes. Add turmeric powder and salt to taste and fry for a second. Add coriander powder and chilly powder and fry for a minute. Next add the chicken and fry for 10 minutes and add bons chicken kabab 65 powder and fry for 5 more minutes. 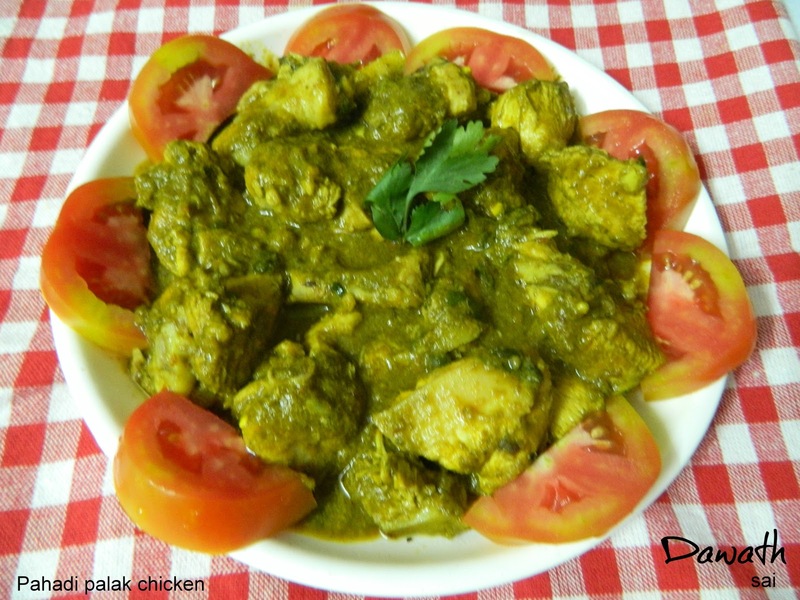 Mix the tomato puree in the palak puree and add it to the chicken. 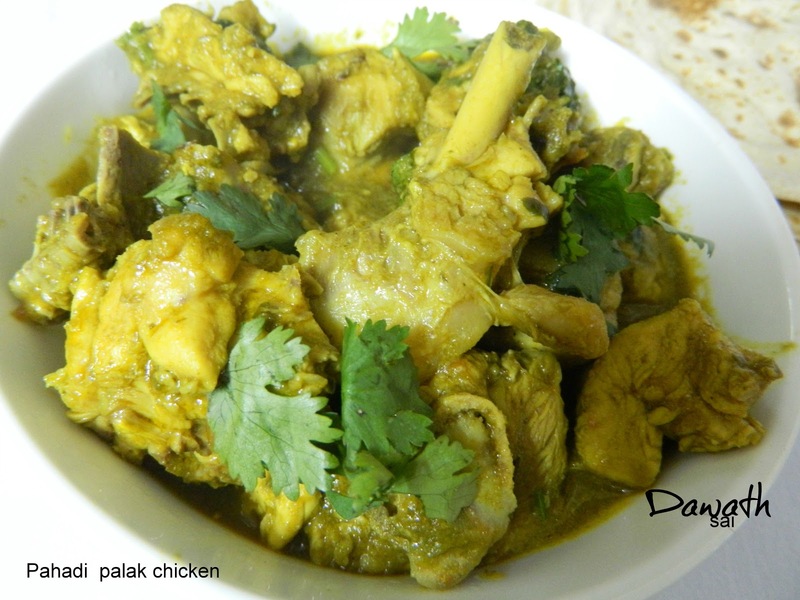 Add the palak stock and cook until the chicken gets cooked. Chef crushed the whole garam masala’s in his hand and added. Don’t add water while making the coarse paste. Chefs secret masala Bons kabab powder.